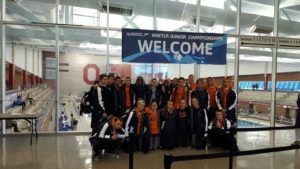 While the international senior elite are competing at the World SC Championships in Windsor, Canada, all of America’s top 18 & unders east of the Mississippi will meet in Columbus, Ohio for the Winter Jr Championships – East this week. Check below for five storylines to watch out for on this half of the country. 16-year-old Isabel Ivey turned heads this past weekend in Atlanta with a sub-1:44 swim in the 200 free and a national title in the 100 free. 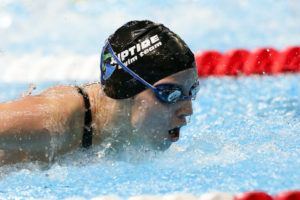 She’s taking on both of those races in addition to the 50 free, 200 IM, and 200 fly this weekend, though the freestyles look to be her forté at this point in her young career. 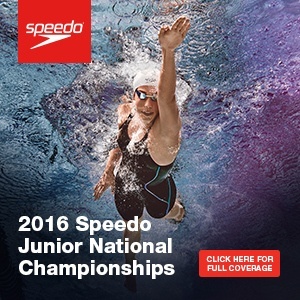 She’s chasing Simone Manuel‘s 15-16 100 free NAG record of 47.73 after blasting two 48 lows at Winter Nationals. She was 48.23 in prelims and 48.33 in finals, though Amanda Weir (who posted a 47 in the morning) did scratch out of the final, leaving Ivey with less competition at night. In Columbus, though, Ivey will do battle with some other young sprinters who have been dropping time of late– Morgan Tankersley and Kate Douglass. Tankersley had an outstanding high school season in Florida this year, much like Ivey, and the 17-year-old excels more so in the 200 and 500, so she’ll have a strong back half (also like Ivey). 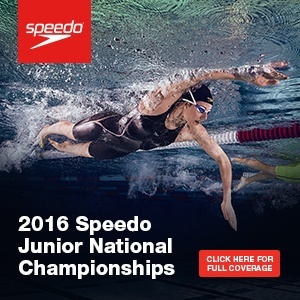 Meanwhile, Douglass, just 14, set the 13-14 50 free NAG record recently in New York. She’s better in the 50 than in the 100, but she should show up for a good race against the likes of the other two girls. Even if Ivey can’t break 48 and scare the NAG record, she’s only .10 from 3rd all-time in 15-16 (a 48.13 from two-time Olympian Lia Neal). CAN DREW KIBLER TOP JACK DOLAN’S BIG WEEKEND? 15-year-old Jack Dolan had a stellar weekend in Atlanta, swimming with the big dogs in multiple A-finals and garnering lots of new best times. 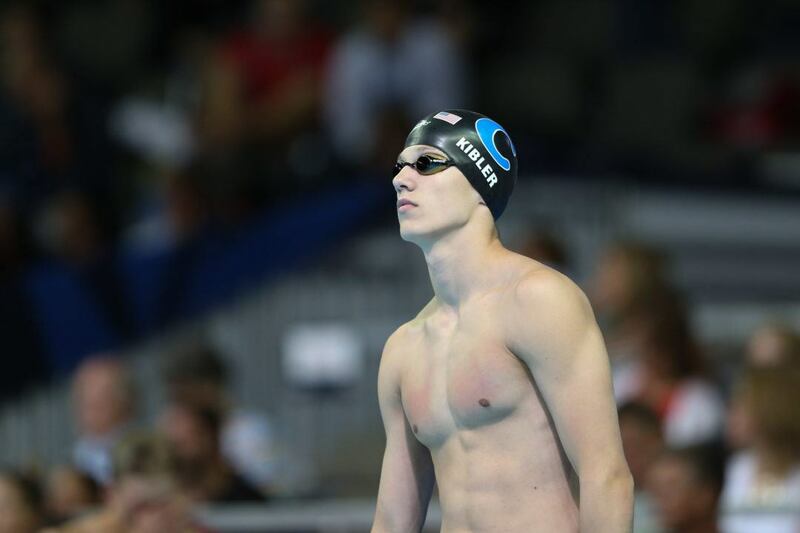 He moved up to #4 all-time in the 15-16 age group for the 50 and 100 free– intriguingly enough, Drew Kibler currently sits at #6 all-time in both events, mere hundredths behind Dolan. Both boys have had great years thus far, and the elder Kibler will try to leave his mark on the age group this week in Columbus. Kibler’s perhaps the talent to be following in Indiana swimming right now. He’s has progressed a lot this year, and while he’s shown his capability of extending into the 500 range, his talent right now lies in the sprint free. 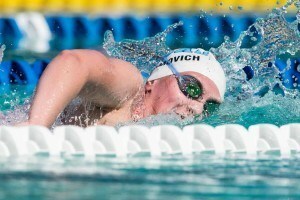 The top seed in the 50, 100, and 200 free, he could come away with several Jr National titles. Isabel Ivey, a sprint free star, will clash with Stanford-bound 400 IM specialist Brooke Forde along with 15-year-old sensation Alex Walsh. All three girls are very strong across all four stroke disciplines, though Walsh, the youngest, is the top seed at 1:55.89. Ivey did not race the 200 IM last weekend, and she comes in with a 1:57.04– that time will likely get slashed based on how well she did this past weekend. Meanwhile, Forde impressed this fall at the FINA World Cup circuit, culminating in a 4:29.66 400 IM in short course meters. She also popped a 4:02.67 in yards at the USA-College challenge a month ago, smashing almost five seconds off of her previous best. We haven’t seen any eye-popping swims from Walsh since before this summer, and Ivey and Forde are on the rise. Walsh might be seeded over a second ahead of the other two, but this could be one of the big races of the week. Penn Charter Aquatic Club’s Reece Whitley is used to going head-to-head with fellow junior Michael Andrew. Whitley is the 13-14 NAG record holder in both breaststrokes (yards) and the 200 breast 15-16 NAG record holder, while Andrew holds the 15-16 100 breast record (with Whitley at #2). 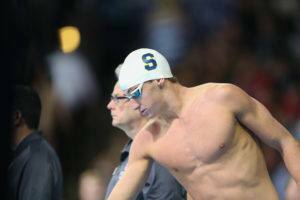 Andrew will be racing at the FINA SC World Championships this week, however, which leaves Whitley in a league of his own. 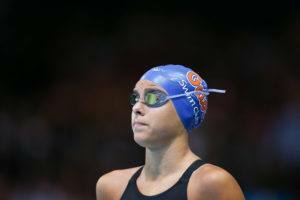 Despite not having any immediate competition, Whitley will look to post fast times this week. He’ll likely be raring to go and challenge Andrew’s 15-16 100 breast NAG, a 51.75, during his last weeks in the age group. He ages up to the 17-18 age group on January 2nd, 2017. The aforementioned Walsh, incredibly versatile, is entered in a grueling schedule of 8 different events for the week. She’s the top seed in the 200 IM, 100 back, and 200 back, while she’ll also swim the 50 free, 100 free, 100 breast, 200 breast, and 100 fly. She may not swim them all, but heavy schedules, if they’re pulled off, are incredibly impressive. Considering her youth, it’s even more exciting to see the kind of versatility she has, not even halfway through high school. Very good recap. Hopefully Alex Walsh drops a few events. 90% of my favorite US juniors of the moment swim in that part of the country. I can safely say that many future olympic medalists will swim in that pool this week. They’re on the younger side and not seeded as high so I can understand the no mentions. That being said, it definitely will be interesting to see both of them at midseason rest meets coming off successful summer seasons, in which both achieved Trials cuts. 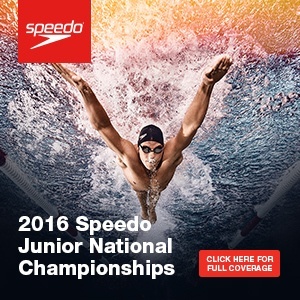 I stand corrected; Lasco’s the top seed in the 200 back. Ought to be fun to watch!